AMSA introduced new rules in 2014 forcing all seafarers to undertake refresher training every five years, so all certificates that were renewed in 2014-2015 will begin to expire next year. Training must be undertaken before a certificate expiring, which means seafarers need to start planning now to make sure they remain legally certified by AMSA. To help seafarers meet their legal requirements, AMC Search, the commercial arm of the Australian Maritime College, is running over 20 refresher courses during 2019, including Certificate of Safety Training, Certificate of Proficiency as Rating, Chief Integrated Rating and Certificate of Competency (Master, Deck and Engineer Officer). Training will be delivered at the AMC campus in Launceston as well as at the new Sydney Study Centre in Darling Harbour. AMC Search Training Manager Emilie Donovan said that as Australia’s maritime short course specialists, AMC Search recognised that seafarers would be under immense pressure next year to undertake refresher training. “So by massively expanding our refresher training program and offering it from a new location in central Sydney, we believe we are helping to relieve the pressure on seafarers by providing Australia’s most extensive and best value STCW refresher program in 2019,” she said. Not only is AMC Search Australia’s best value refresher training provider, it has exclusive access to all of AMC’s world-class facilities in Launceston. 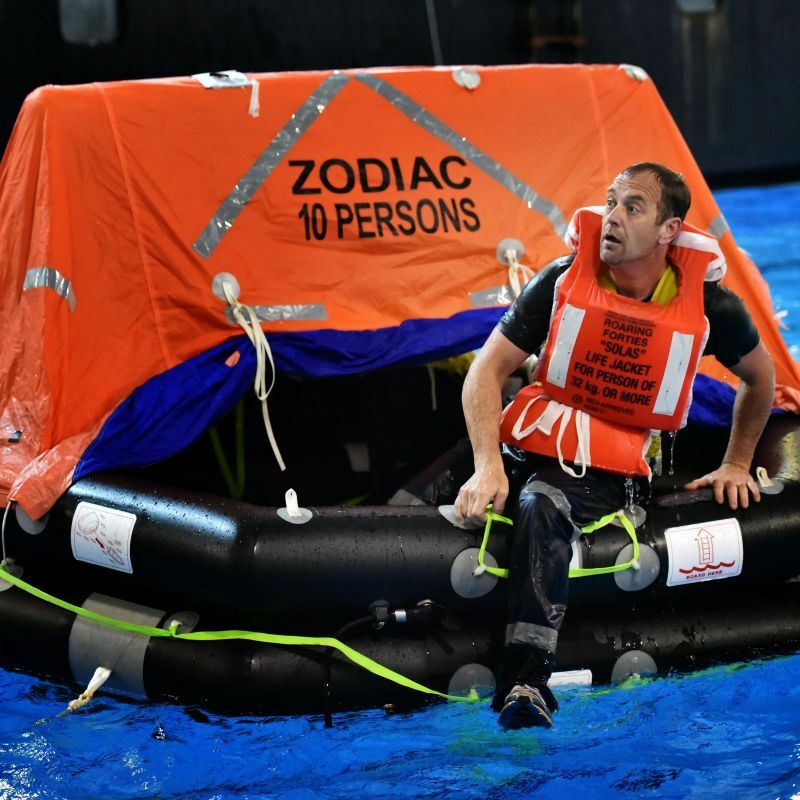 Facilities include a designated indoor survival training pool that includes a mock-up of a ship’s superstructure, which is complete with life raft launching facilities. 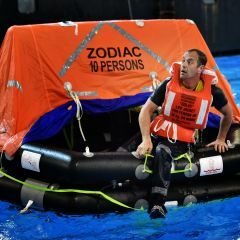 Night time survival rescue missions are simulated, as the facility can be blacked out, and there is also the ability to create water turbulence, rain, wind noise and storm effects. Unlike the vast majority of maritime training providers, AMC Search also has access to its own firefighting training ground for the firefighting component of the Launceston refresher courses. AMC Search has been providing specialised maritime training for over 30 years – and this experience shows. The vast majority of AMC Search’s training staff have extensive seafaring experience, and 98 per cent of over 500 students surveyed between July 2017 and July 2018 reported they were satisfied or very satisfied with the quality of the teaching they received. To beat any last-minute rush, companies with staff who need to renew their certificates by 2020 should also consider scheduling training during 2019. Staff training must be completed prior to a certificate expiring, and time needs to be considered for issuing new certificates ahead of the deadline. More information and registrations: www.amcsearch.com.au/refresh or call 03 6324 9850.